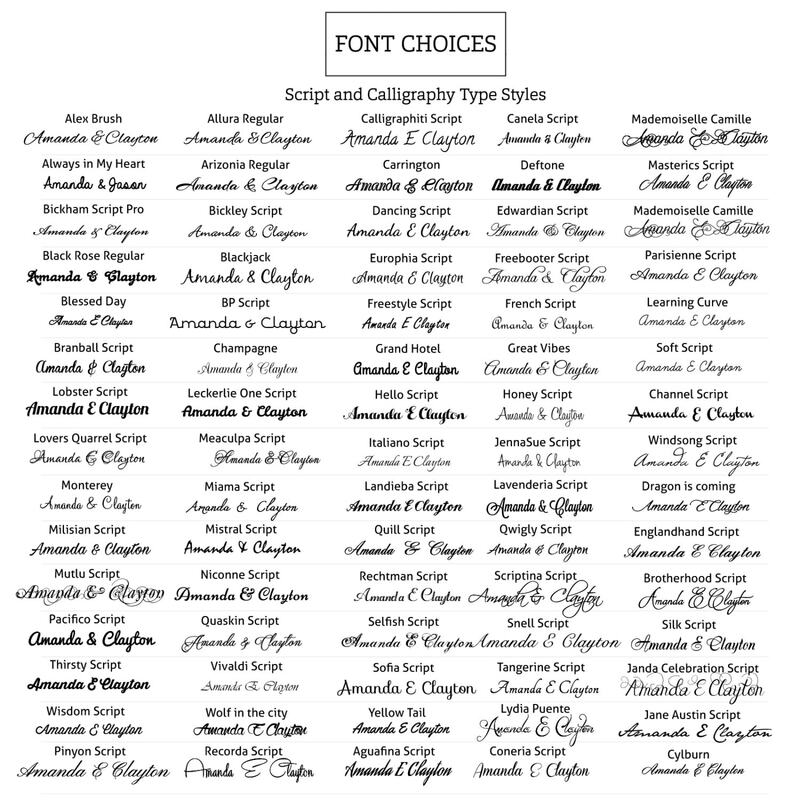 Show your appreciation for your guests with these personalized wedding mint tin favors. 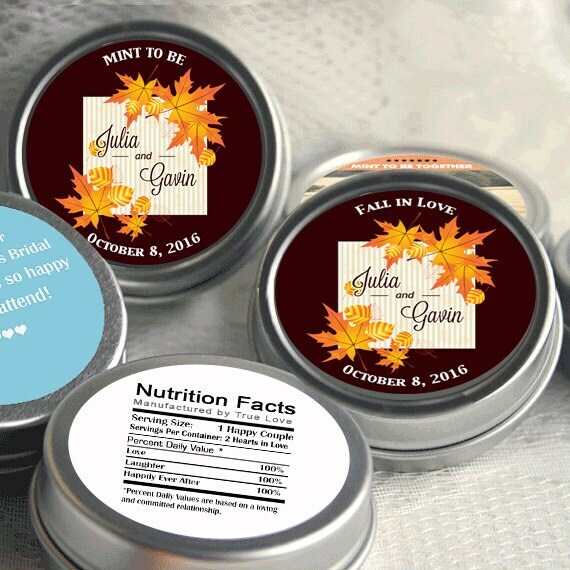 Our Personalized Fall Leaves Wedding Mint Tin Favors are the perfect candy favor for wedding reception or bridal shower. 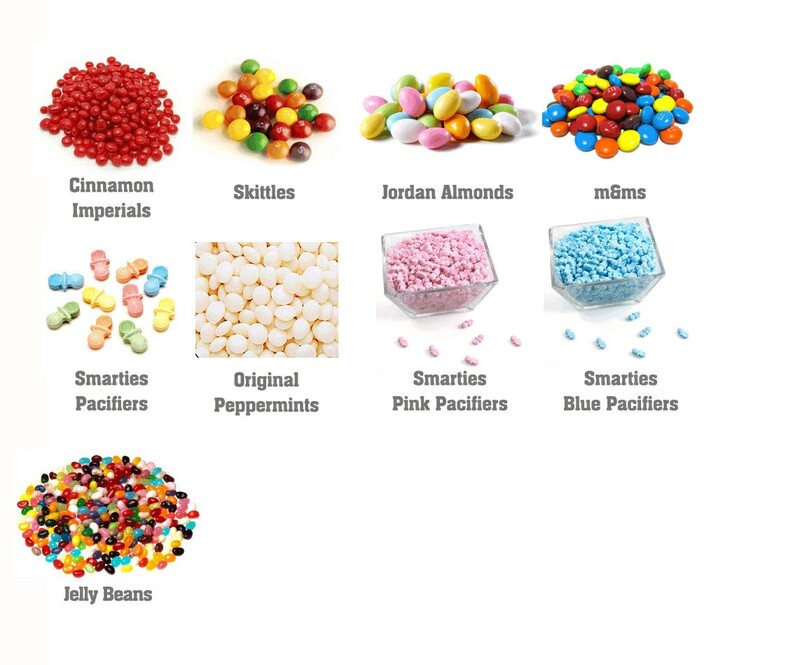 Mint tins measure 2 inches in diameter, 3/4 inches deep and are available filled or unfilled, with the filled option choose from original peppermint candy, skittles, jelly belly's, or M&Ms - filled tins come completely assembled ready to hand out. Talk about easy party favors! 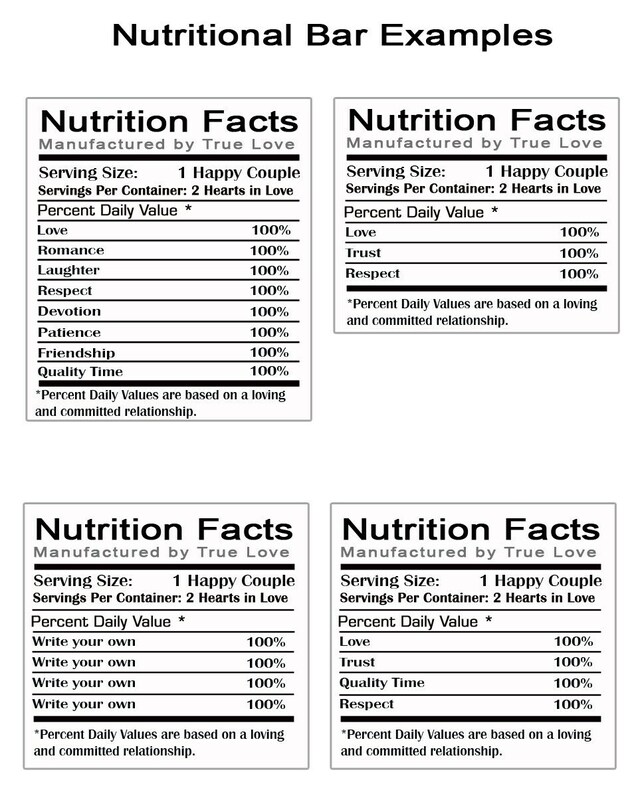 Empty tins come with labels ready to apply.